As do-it-yourself TV shows and websites like Pinterest skyrocket in popularity, it's clear that women are excited about homemaking. 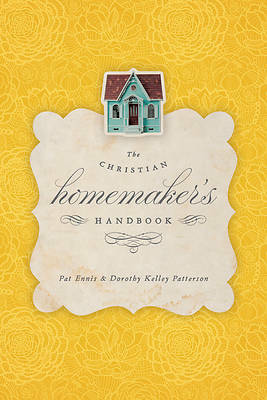 They are actively looking for helpful resources and here is the ultimate guide for the Christian homemaker. Experienced writers, professors, wives, and mothers have contributed to this extensive handbook, generating 41 chapters dedicated to helping women fulfill God's plan for the home. This one-stop reference tool offers a balanced blend of theologically sound content, realistic life illustrations, and practical application in a single volume, affording the reader personal tutoring and the opportunity to acquire skills in the practice of biblical homemaking. Serving everyone from the average, middle-aged woman to high school students learning home economics, this handbook stands apart as the only comprehensive Christian resource on homemaking in the marketplace today.